Here's the third and final squash recipe of the week, and it's a dessert--a really easy one at that. 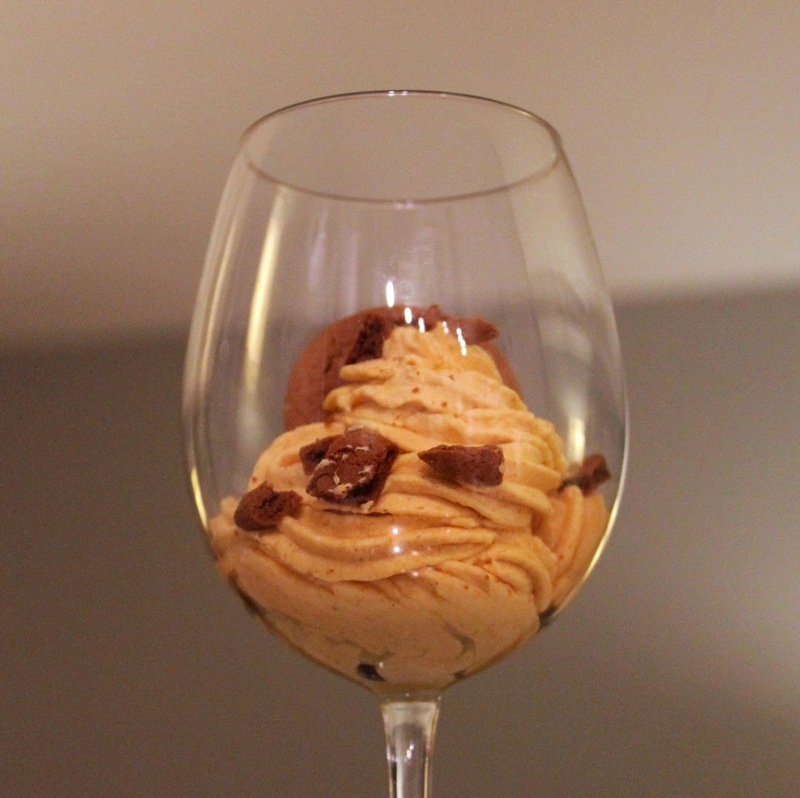 I snagged this pumpkin mousse from Justin Chapple's recipe for Pumpkin Tiramisu, where it's combined with coffee-dipped ladyfingers and topped with whipped cream. While I cannot argue with the deliciousness of such a dessert, the mousse is pretty fabulous just by itself and easy to make. The ingredients are whipped together in a stand mixer (or, if you don't have one, you could use a hand mixer). There are no eggs to deal with in this recipe, which makes it a whole lot easier, as well as assuaging food-safety concerns. I topped the mousse with gingersnap crumbles for some texture and flavor contrast. 1. In the bowl of a stand mixer, whisk together sugars, ginger, cinnamon, nutmeg and salt. Add the pumpkin puree and whisk until combine. Add the mascarpone and heavy cream. Using the whisk attachment, whisk on low speed until combined, then whisk on high speed until soft peaks form. 2. 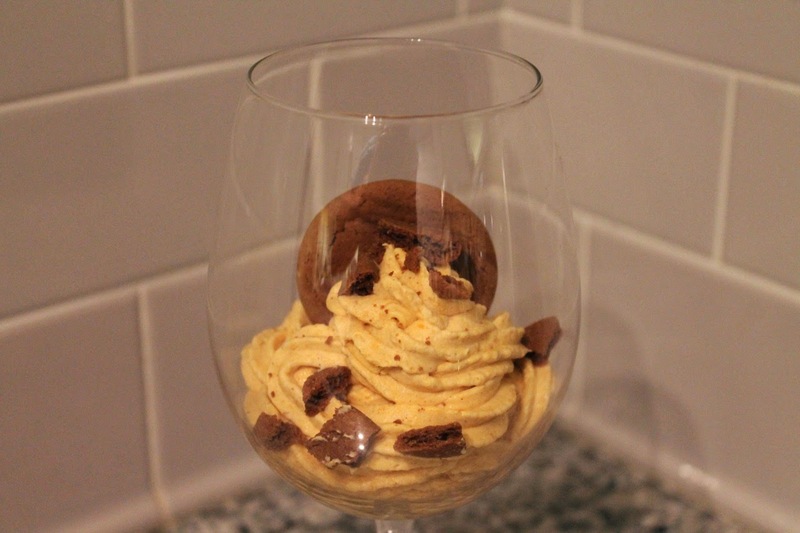 Serve mousse in wine glasses (pipe the mousse using a pastry bag if you want to be fancy). Garnish each glass with a whole gingersnap and a sprinkle of gingersnap crumbles.